Canada is internationally recognized as one of the best places in the world to do business. If it is to maintain its competitive edge, increase productivity and spur innovation, Canada must constantly strive to improve the conditions for doing business. The Canada Border Services Agency (CBSA) plays a critical role in ensuring that businesses can continue to thrive in a global context. To achieve this, the CBSA collaborates regularly with the private sector as a valued partner in the Customs process in order to streamline and simplify the border experience. Whether through workshops or formal consultative committees, the CBSA facilitates frequent interactions with the private sector. This enables it to effectively advance ambitious projects, such as the Single Window Initiative and eManifest, which are minimizing the requirement for paper forms, reducing red tape, and lowering the costs of doing business across the border. All of this enables the more efficient movement of goods across its border, encourages trade and growth, and helps Canada stay economically competitive. The decisions of Customs administrations have a profound impact on business and their bottom line. Recognising this fact, the CBSA supports the involvement of the business community in the development and delivery of its policies and programmes, building a solid culture of stakeholder engagement. This engagement extends throughout its headquarters and regional offices, and to different multilateral fora, such as the WCO. By consulting and partnering with industry, the CBSA can engage in thoughtful discussions regarding its vision of trade facilitation. The CBSA identifies shared interests and objectives, and discusses opportunities to collaborate to achieve results for both the Agency and industry. Developing strong relationships with stakeholders creates meaningful dialogue and challenges existing mindsets. These relationships add transparency to the development of policy, and create a more fruitful understanding of their outcomes. As stakeholders have different demands from Customs administrations, the CBSA recognizes that a ‘one size fits all’ approach to private sector engagement does not work for a dynamic business community. The CBSA has developed different strategies to meet these different needs. The Agency uses the mechanism of formal committees to share information, raise awareness of issues, and discuss high-level, strategic and policy-oriented questions. It typically uses working groups and sub-committees to seek feedback from stakeholders, and to find solutions to technical or process-related problems. To share and exchange information, the CBSA participates in conferences and workshops, as well as other types of outreach activities. These include the national and/or regional conferences of various associations and groups, such as the Canadian Society of Customs Brokers (CSCB). These events provide a forum for the CBSA to engage with stakeholders directly on emerging trends, industry issues, and the impacts and outcomes associated with the CBSA’s programmes and services. This allows for an effective two-way transfer of knowledge between the public and private sector, creating mutually beneficial exchanges. To reach a wider audience in a country as expansive as Canada, technological solutions, such as webinars, teleconferences and videoconferences, are increasingly being utilized to great effect. These sessions can be recorded and re-broadcast, and interested stakeholders, such as business associations, often host these events for their members. Consultations may also be posted on the Government of Canada’s “Consulting With Canadians” website. This site provides the private sector and Canadian citizens with ‘single window’ access to a list of consultations from selected government departments and agencies. The CBSA also holds one-on-one meetings on specific topics of interest with stakeholder organizations. Engaged business leaders often prefer focused, issue-specific bilateral discussions as the best way to achieve their objectives. Executive, senior and/or working-level representatives from the CBSA regularly participate in these meetings, which provide the opportunity for both the CBSA and stakeholders to discuss technical details, key concerns, and next steps for the implementation of long-term initiatives. The Border Commercial Consultative Committee (BCCC) is the main mechanism through which the CBSA engages its private sector stakeholders. BCCC members represent organizations involved in cross-border trade; this forum provides Customs officials and commercial stakeholders with a platform to discuss border-related policies, operational programmes, and the administrative procedures that govern Canada’s commercial trade. The BCCC itself acts as a plenary body that provides oversight and direction to a number of technical sub-committees, established to advance specific elements of the BCCC’s shared agenda. This shared agenda was established by identifying a number of challenges and common interests where BCCC members agreed to work together to find mutually beneficial solutions. Meaningful engagement with the business community through effective communication and consultation has been critical to the successful implementation of the CBSA’s eManifest programme and the Single Window Initiative (SWI), which will both improve trade facilitation and increase efficiency in border business processes. eManifest is a transformational programme that will modernize and improve cross-border commercial processes. When fully implemented, eManifest will require stakeholders (carriers, freight forwarders and importers) to transmit advance commercial information electronically to the CBSA for all modes of transportation, and within prescribed mode-specific timeframes. The SWI is an initiative that provides a single entry point for the advance electronic reporting of import information required to satisfy CBSA and other governmental requirements. This initiative will minimize paper forms in the import process, increase the number of departments and agencies conducting business electronically at the border, and increase data harmonization for imports into both Canada and the United States. When dealing with major projects like eManifest and the SWI, it is essential to communicate and consult with affected stakeholders as early as possible in the process, and to ensure that they are informed and engaged throughout each phase (design, development, implementation and transition). It is mutually beneficial to provide a communication mechanism to keep stakeholders informed and provide up-to-date messaging (e.g. websites, webinars, email updates, etc.). Ensuring that subject matter experts are readily available to provide stakeholders with advice during the implementation and transition phases of a major initiative is crucial for the successful implementation of such a project. Coordinated Border Management (CBM) is critical to making the border function efficient and effective. Neither government nor the private sector can maximize the benefits of Customs simplification if there are costs and obstacles associated with the requirements of other government agencies. The CBSA recognizes that CBM requires a genuine and sustained commitment from all stakeholders, and remains committed to working together with its partners on this and other important initiatives. 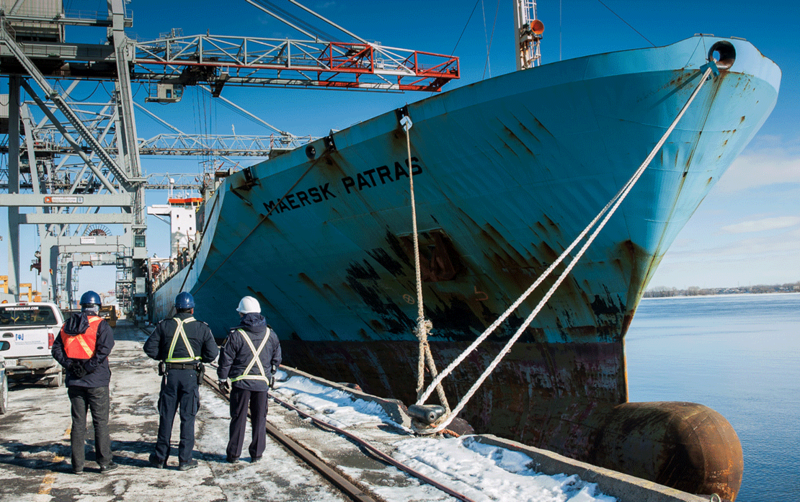 Given its significant experience with stakeholder engagement, and as a recognized leader in global border management and Customs matters, the CBSA continues to share its expertise in the development of the Customs-to-Business Guidance document developed by the WCO, as well as the Advanced Pillar. As such, the CBSA provided extensive comments and suggestions as well as examples of areas where it has been successful. However, successful stakeholder engagement is constantly evolving; while the CBSA has been a contributor, it has also benefited from the content of the document. The CBSA is thankful to the Customs community for having shared its own experiences, and encourages all WCO Members to work towards the institutionalization and continuous improvement of stakeholder engagement in their activities. The CBSA is always exploring new avenues through which to partner with the private sector in order to increase joint awareness of each other’s operating contexts and interests. For example, the CBSA is developing internal guidelines and encouraging its regional officers to hold joint Customs-business awareness sessions as a means for the Agency and its stakeholders to develop a better understanding of each other’s processes. The Agency is also exploring opportunities to partner with external stakeholders to leverage existing training courses, including internationally. In particular, the CBSA is looking to collaborate with external stakeholders during the development of a new commercial training curriculum by piloting and evaluating course material offered by external partners. This also includes exploring options to co-develop a training module on Customs-to-business partnerships, and the mutual benefits in securing and facilitating the movement of commercial goods. The private sector and government organizations are prepared to work together to identify, articulate and implement priorities, but they need to see results. In seeking the continuous improvement of its engagement with stakeholders, the CBSA will pay particular attention to ensuring open communication, effective collaboration and meaningful consultations, where the goal is effective and efficient management and implementation of change that benefits both CBSA and business alike.